Hey Rebels! Today we chat with Jessica Swift, the women behind pattern camp and the reason Kelly is so obsessed with patterns. 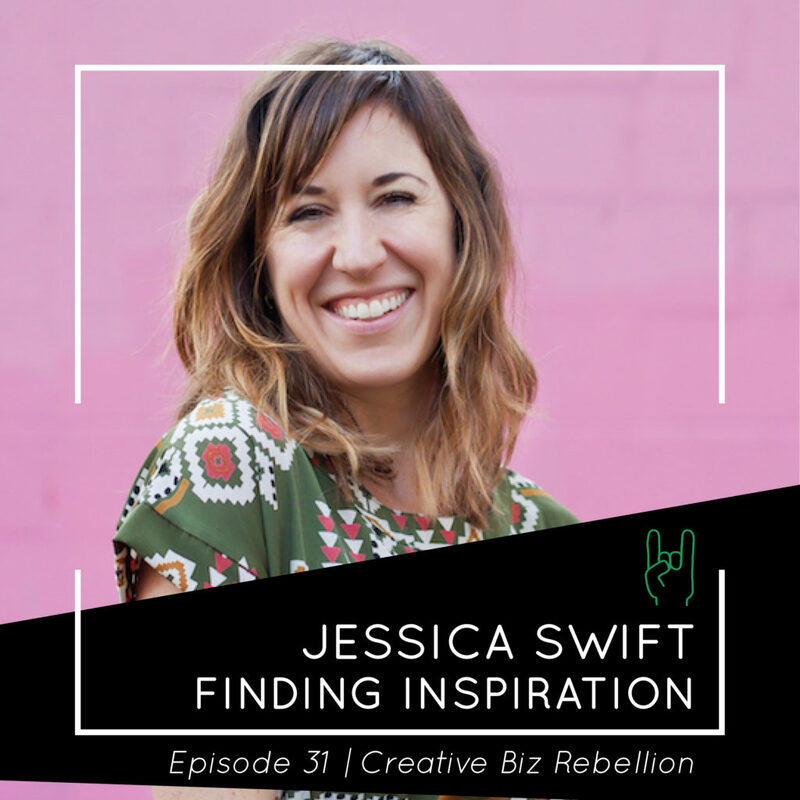 We chat with Jessica all about inspiration..finding it, keeping it, and what to do when you don’t have any! Jessica Swift, a full-time artist, is on a quest to inspire and teach creative people everywhere to pursue their wild + colorful dreams… and never give up. Her magically uplifting, colorful artwork is licensed widely for iPhone cases, fabric, stationery, rugs, and more. Her art and products are designed to serve as tokens of happiness — reminders that you need (and deserve) to feel GOOD in your life. Her book, The Crafter’s Guide to Patterns, was published in April 2015. She lives in Portland, Oregon with her husband, toddler, and two cats, and you can find her colorfully creating at JessicaSwift.com and teaching at PatternCamp.com. Morning is my time for inspiration. The creative Muse comes and visits us when we least expect it. You have to cause inspiration to want to come to you. Pattern Camp, Jessica’s weekend class for creatives who want to make seamless digital patterns is coming this April!! Go to Pattern Camp to find out more! Jessica’s new membership site for creatives is now open! Campfire is a private membership community for creative souls. It’s for anyone who wants to take their pattern and/or art-making skills to the next level, get inspired, have real, honest conversations + get real answers to questions, and who want to connect with like-minded creative people from around the world and be part of a supportive and encouraging group of fellow creatives.Go to the Campfire/Pattern Camp website and click on the fire to learn more and join us!